nearing the resolution of Sete Brasil semi-subs. What should it do with M1? We think cost optimisation and cross-selling could be a near-term priority before seeing a major transformation. In short-term, we expect Keppel Corp's share price to be sustained by stronger q-o-q 1Q19 earnings (S$230m), driven by profitability in O&M and divestment gains. Maintain ADD and Target Price of S$8.41, still based on SOP valuations. Stronger-than-expected O&M recovery could be a key catalyst. What should it do with M1? The completion of the M1 LIMITED (SGX:B2F) acquisition and privatisation of Keppel Tele & Tran (SGX:K11) leave more room for Keppel Corporation (SGX:BN4) to exercise its transformation plans for the company. Although net gearing could go up from 0.4x in FY18 to 0.6x in FY19, earnings accretion and potential upside may not have been appreciated, in our view. We estimate M1 to contribute c.S$67m in FY19F and S$58m in FY20F to Keppel Corp based on effective ownership of c.84% via Konnectivity and 100%-owned Keppel T&T. This has already assumed postpaid ARPU will drop by 8-9% and service revenue by 5-8% for FY19-20F. In the next 12 months, we expect to see cost restructuring and optimisation initiatives carried out by M1. We think the upfront restructuring costs could be less than the c.S$25m taken by StarHub (SGX:CC3) as M1 is a pure mobile company with no PayTV burden. We see synergies to cross-sell M1 mobile services (1.9m subscriber pool) with Keppel Electric’s (KE) power services, increasing its market share (13.9%) to above peers such as Sembcorp Power (11.7%). More importantly, we think centralising the cost structure within the group (such as managed services, data centre, staff costs) could be other incentives (initiatives?) 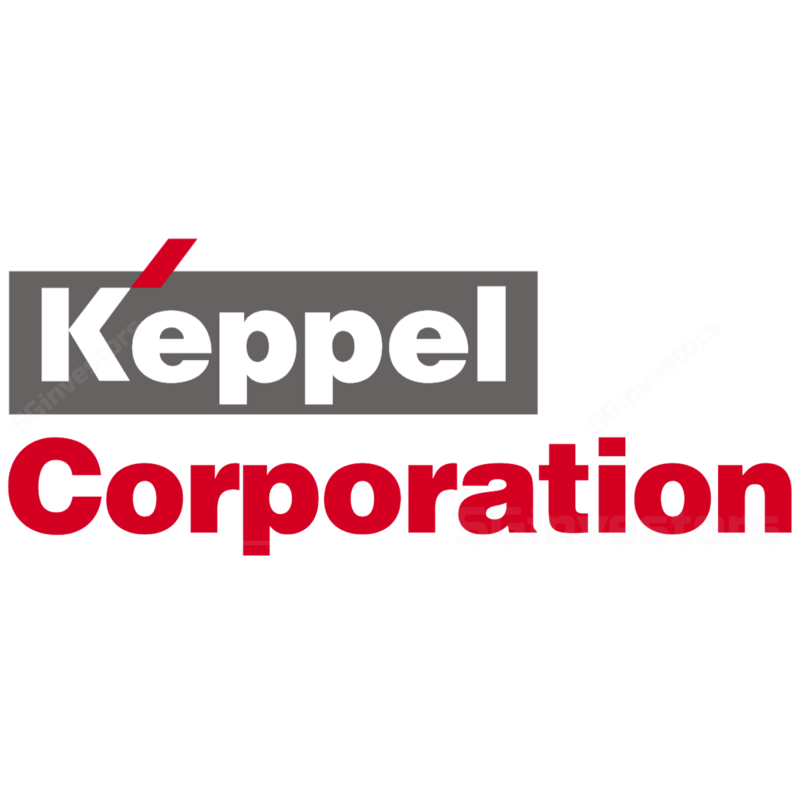 employed by Keppel Corp to cushion the declining profit trend in M1 due to competition. In the longer-term, we think embedding M1’s enterprise services in property projects and smart cities development could be another avenue to improve its topline. We believe being 100%-owned, the asset injection of SGP 4 into KEPPEL DC REIT (SGX:AJBU) should be seamless. We think this could take place in 2H19 with stronger y-o-y occupancy and stabilisation of assets. Our REIT analyst estimates SGP 4 to be valued at S$420m (Keppel T&T owns c.40%) through Keppel Data Centres Holding and Alpha Data Centre Fund. Could O&M see resolution in Brazil, finally? Borr Drilling aggressively buying jack-up rigs, including a novation agreement with Keppel Corp and Japanese BOT Lease Co in early Apr. Borr Driling will take over the contract of the jack-up rig being built by Keppel Corp which has mostly been paid in full. The rig will be delivered in Jan 2020. Awilco’s exercising the second option for a semi-submersible from Keppel Corp. Resolution is close for Sete Brasil’s unfinished deep-water rigs. Magni Partners/Borr Drilling bid on all four rigs on offer (two from Keppel Corp and two from Sembcorp Marine (SGX:S51)) while Keppel Corp bid on two semi-submersibles of its own, together with Petroserv as an operator. If resolved, the rigs will be chartered for 10 years at a rate of US$299k/day, according to Upstream. We think either way, it will work out in Keppel Corp’s favour. If Magni/Borr Drilling wins the bid, it would cost about US$100m-200m to complete the rigs, adding to its order book. The alternative is recurring charter income from the rigs, and eventually injected into a fund. Operating statistics are improving for floaters with day rates for semi-subs (8,000ft and above) inching up towards US$290k. Utilisation for ultra-deepwater rigs also improved to above 70% in Mar 19. We expect Keppel Corp to achieve net profit of c.S$230m in 1Q19. Property was likely the largest contributor (S$135m), incorporating seasonally weaker 1Q effect and gains from paring down the Dong Nai project in Vietnam. We note that the stronger 1Q18 was due to the recognition of c.S$289m of Keppel Marina China. We expect O&M to maintain its profitability trend and achieve net profit of c.S$5m with EBIT margin of 4% from the execution of Awilco semi-subs clinched in 2018. Note that 4Q18 EBIT margin excluding impairment was 6%. We see upside to our number. The completion of the M1 acquisition could also result in fair-value adjustment to boost the investment division. This could offset the lagged recognition of losses from KrisEnergy (SGX:SK3). See attached PDF report for segmental breakdown details. We think current valuations are undemanding vs. expected ROE improvement to 9% in FY20F. We maintain an ADD recommendation and Target Price of S$8.41. See attached PDF report for SOP valuation details.